Thanks to our professional knowledge and best available products on the market we can form an active anti-fungal barrier. It's best mould prevention anyone can offer. We can also remove / treat existing mould and fungus problems. 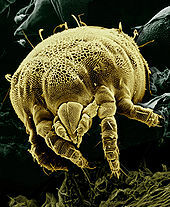 Dust mite thrive from relative high humidity level. Reducing condensation not only removes a source of damp and mould but can also lower the house dust mite population because both thrive from high relative humidity levels. 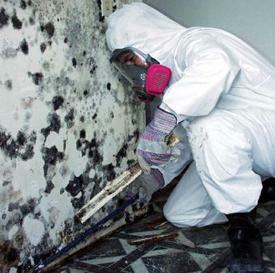 Fix the source of the damp / condensation problem to prevent mould growth. Reduce indoor humidity ( to 30-60% ) to decrease mould growth. Clean and dry any damp or wet building materials and furnishings within 24-48 hours to prevent mould growth. Clean off hard surfaces with water and detergent, and dry completely. Absorbent materials such as ceiling tiles, that are mouldy, may need to be replaced. prevent condensation: reduce the potential for condensation on cold surfaces (i.e., windows, piping, exterior walls, roof or floors ) by adding insulation. In areas where there is a perpetual moisture problem, do not install carpeting ( i.e., by drinking fountains, by classroom sinks, or on concrete floors with leaks or frequent condensation ). Moulds can be found almost anywhere, they can grow on virtually any substance, providing moisture is present. There are moulds that can grow on wood, paper, carpet and foods. If you have Black Mould give us a call on 07714 187 053 or book your Free Survey and we will come and help you to deal with it. Our technicians will remove your mould always using professional equipment so it's also safe for you and your family. Sometimes we may have to ask you to leave your house during chemical treatment depend on the size and stage of affected area. Remember it's important that you remove your mould as it's affecting your health.